iTunes software has a free service that allows you to subscribe to the series of podcasts that have been created on VirtualSaguaro.com. 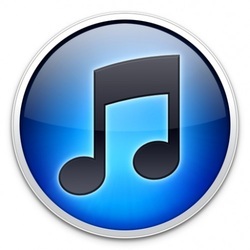 CLICK HERE and the link will open a new window summarizing Apple's iTunes listing for Virtual Perspectives. From that page you can view in iTunes and then subscribe. You can also find the podcast in iTunes listing services by searching for Virtual Perspectives, downloading a free podcast and then subscribing to future ones. You will find these podcasts listed under "Society and Culture-Philosophy"
If you want to subscribe to these podcasts on the VirtualSaguaro site, directly, without searching for the podcast on iTunes, and/or possibly using your own RSS podcast software, then you can follow these instructions below. In either case -- subscribe and you will be notified of new podcasts as they are produced. Hope you enjoy the Listening! 2. Under the iTunes File Menu, choose "Subscribe to Podcast..."
4. The most recent episodes will show up and you can click and enjoy. iOS DEVICE (iPhone-iPad) go to Apple Podcasts App, choose the Search icon, enter "virtual perspectives" and you will find how to subscribe. ANDROID DEVICE : Go to the Google Play Store link and choose an App to download into your device. When subscribing, copy the long link above and enter into the feed source of the podcast. If you ever wish to submit your podcast site to Apple for inclusion into their Podcast directory, you must Read their Detailed Instructions. In that publication is the link to Feed Validator, very useful for those of us who are not that careful when creating an XML file, and to assure your Feed file is correctly formatted for Apple submittals.